This message is continued from the Bugle, our email newsletter. 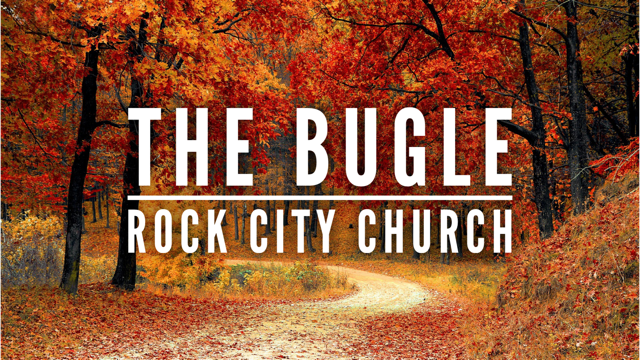 To subscribe to the Bugle, enter your email in the box on this page! Nothing is so painful to the human mind as a great and sudden change. Let’s talk about some of the changes that we face. From our own inception to birth, there is change. There was the warmth and comfort of the womb. And then, that journey down the birth canal to light and a slap on the behind! Sudden change! Once I was nice and comfortable, all curled up and warm, and then I came on out screaming! And the doctor… Welcome to the world! Change! To a life of constant, physical change. From a baby to a toddler and from toddler to a child. Remember those terrible twos? Then, from a child to a teenager. When they became a teenager… That’s when I really resigned!! They found their voice at that point. Physical changes. In height and stature. Oh my gosh! My girls started to change physically and there was stuff that wasn’t there before. Made me want to run and get my shotgun. Yes, they are beautiful, but stay away! Change! Then, they become adults, and then it’s adult to seniors. The gray hair. Now, it’s “sir” and “mister”. Now, I’m everybody’s dad. Then, we go from senior to death. Change is constant. It doesn’t end. How about relationship changes? When we were first born we were totally dependent on our parents. Then, to fighting for independence as a young adult. From independence as an adult to having other people dependent on you, when you have kids. I remember when I was a kid, all I wanted to do was grow up. Now, I’m grown up and I remember how good I had it as a kid. When I was a kid I never worked. Food was in the refrigerator, like it magically just appeared there. I didn’t really catch the fact that my mom and dad were out there at work. Life! Change! Our life is full of change. As a matter of fact, God has fixed change in our natural surroundings. In Genesis 8:22, God was speaking to Noah, “While the earth remains, seedtime and harvest, cold and heat, winter and summer, and day and night shall not cease.” So, in that statement God is saying that there’s going to be consistent change. While the earth remains, there’s going to be a time to sow and a time to pull in the harvest. There’s going to be temperature changes… God didn’t have to give us night. In heaven there’s no sun. He gives light. Who Will Carry the Burden?